It was all stated in the fine print for the past year. How could they have passed it by? With a blind husband and her entire family living in a different country, it had been impossible for Elena’s family to know that she had been experiencing symptoms of Alzheimer’s for the past 12 months. Elena’s doctor had not directly addressed the issue; rather he had simply noted it on her medical record. It was not until her husband noticed she would forget little things such as turning off the stove after cooking, that he alerted her daughters and they began to seek treatment for her. Irma Green, a 65-year-old Hispanic woman and resident of Fontana and one of Elena’s daughters, became her primary caregiver. According to the Alzheimer’s Association, Alzheimer’s is the most common type of dementia; it makes up 60 percent to 80 percent of dementias. Dementia is a broad category of brain diseases that cause a long-term and often gradual decrease in the ability to think and remember that is great enough to affect a person’s daily functioning. It affects five million Americans including 13 percent of those over age 65 and 50 percent of those over age 85. Alzheimer’s disease causes the loss of memory and the ability to manage day-to-day tasks such as balancing a checkbook or remembering directions to a friend’s house. Some of the earliest symptoms or warning signs of Alzheimer’s include memory loss, trouble with familiar tasks, trouble with word finding and changes in mood and personality, all of which were exhibited by Elena. 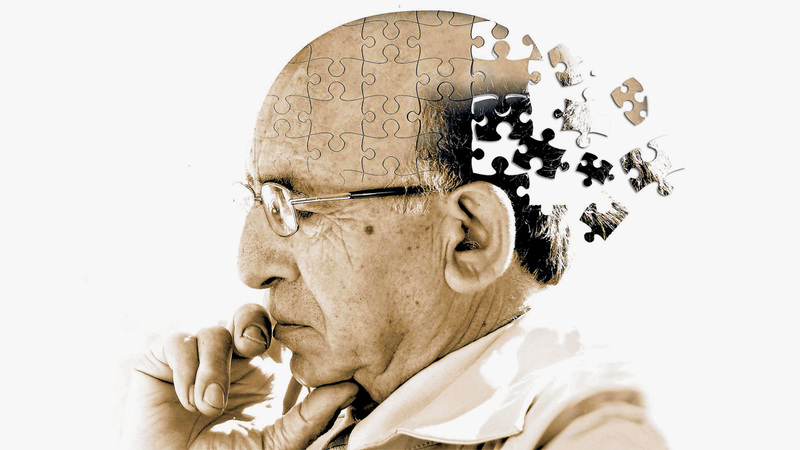 This leads many to believe the idea that Alzheimer’s is an older person’s disease. How much of this is true? “Alzheimer’s is usually diagnosed in individuals who are in their 60’s and beyond.” New research shows that the process happens a lot earlier than we are picking it up, but at this point in time we just don’t have the tools to assess for those changes earlier in life.” said Dr. Franklin. Risk factors for the development of Alzheimer’s disease include age, family history and genetics, gender, and race. Latinos are 1.5 times more likely to develop Alzheimer’s than Caucasians and African-Americans are two times more likely. For people in circumstances where Alzheimer’s is genetic, Dr. Franklin suggests, “being more prudent in looking for these changes.” However, he does not recommend genetic tests because there are minimal treatments and currently no cure. Although there is no cure for Alzheimer’s dementia, there are lifestyle changes that can be implemented to delay the onset of the disease. Dr. Franklin mentions that keeping the cardiovascular system healthy, and having hypertension treated by a physician to decrease the chance of stroke can help delay the onset of the disease. He also suggests being cognitively active (e.g. taking classes, reading, doing puzzles, being socially active). It is also important for friends and family to help individuals affected. If you are concerned for a loved one, urge them to see a physician so they can seek the appropriate treatment. There is hope for Alzheimer’s patients, through support and education for individuals and their families! For more information on Alzheimer’s, please visit https://www.ucrhealth.org/home/. If you have questions or feedback, please feel free to email The Center for Healthy Communities at chc@medsch.ucr.edu. Lilian Ortiz is a student intern with the Center for Healthy Communities at the UCR School of Medicine.